Games can often offer social commentary on things from politics to opinion to simple observation on the state of the world. Sometimes they’ll even go meta, using a video game to talk about video games. Falcom’s latest action RPG, Tokyo Xanadu does just that. 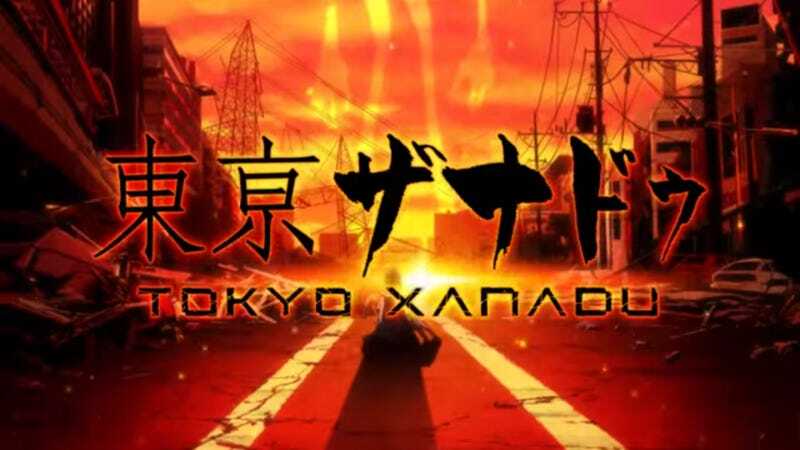 In the game, Tokyo Xanadu, in between points in the plot, players enter a free mode where they can go to various locations, talk with NPCs, buy/sell/upgrade items and equipment, take care of side events and missions, and develop their relationship with major characters and party members. It’s all very Persona-esque and quite fun. In the middle of the town is a train station area where there is a bookstore, a pharmacy, and an electronics store. In the corner of the electronics store is a game section—which prominently features ads for Falcom’s other games. Standing there is a young boy named Shigeru, and he has some things to say about video games. Make no mistake, this isn’t some character or object placed in such a way as could be taken as hidden intent or just plain coincidence or some secret little easter egg a developer tucked away only to be found by the devoted/obsessive few. This is character dialogue, which means someone wrote this into a script that was subsequently approved by someone else. And it isn’t even a character hidden away somewhere. So says the boy in a video game that, ironically, is for a hand-held console. Going back at different points in the game, Shigeru is still there with more commentary that I’m not sure isn’t lamentation. Says the boy who, I repeat, is in a game only available on a handheld console. In other words, don’t give up on an IP just because the first game wasn’t considered financially successful. Shigeru also has a thing or two to say to the older generation of gamers. It’s probably not a coincidence that the character making commentary on video games is named “Shigeru”, although his last name is never revealed. Tokyo Xanadu (no, there are no roller skates, although everything can be improved by ELO) is currently available in Japan for the PS Vita. No word on an international release.